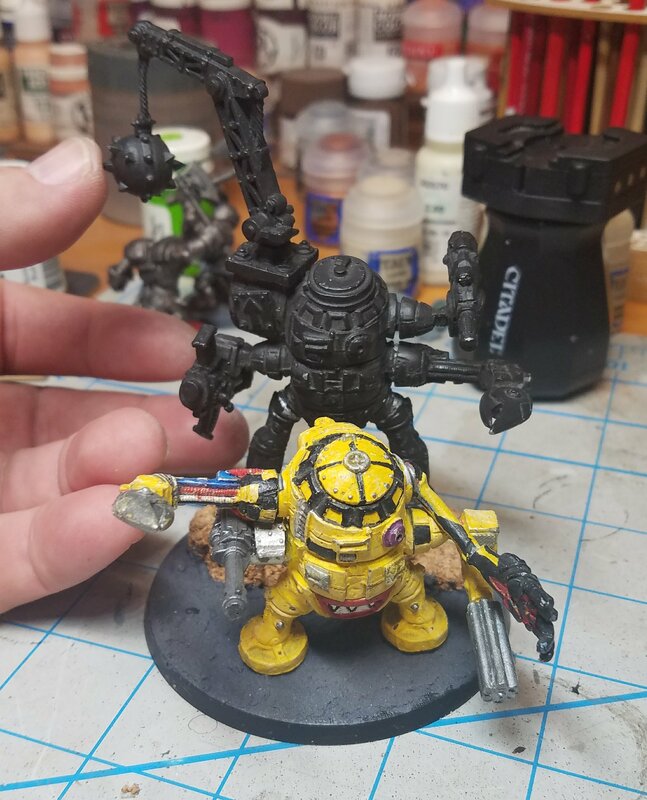 Two of my oldest Orks, these dreadnoughts…now Deff Dreads…are much smaller than the current models. 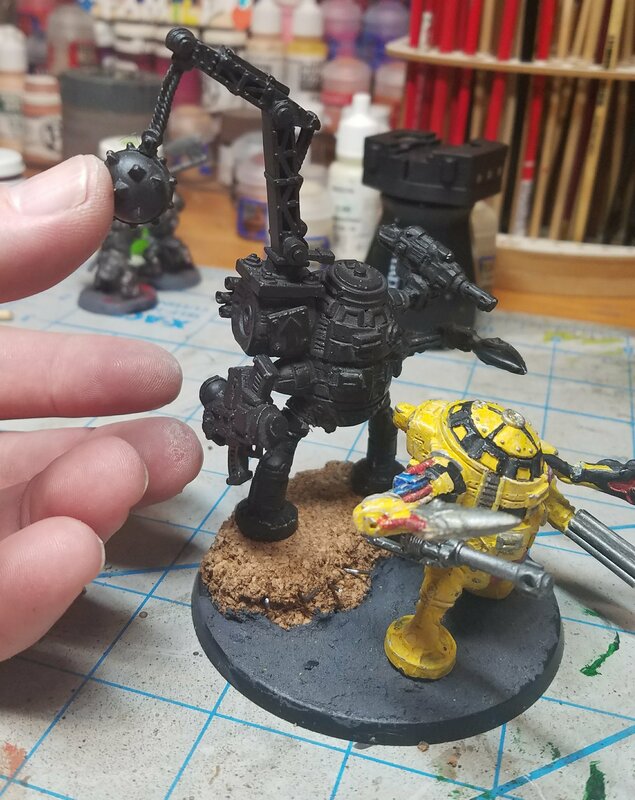 Decided to mount both on a single Dread base as a pair of Dreads. Working on what to do with the rest of the base and their positioning.